The VIPRO VP7710 Fanless Panel PC is an embedded panel computer with a 10.4" TFT LCD and resistive touch screen. The VIPRO VP7710 is powered by a 1.6 GHz VIA Eden ULV / 1.0 GHz C7 processor, making it an ideal solution for applications that require low power consumption, fanless and noise-free operation with multiple IO ports. The VIPRO VP7710 has an external VGA port that enables dual independent displays and high definition audio ports that makes it ideal for embedded multimedia applications. Storage can be integrated via its internal Compact Flash socket and 2.5" internal HDD drive bay. It also includes a variety of mounting options for flexible installation. 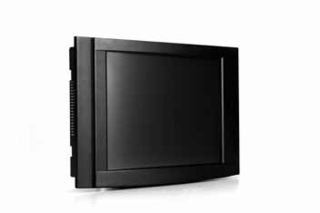 These features make the VIPRO VP7710 Fanless Panel PC suitable for a wide variety of embedded, multimedia, and industrial HMI (Human Machine Interface) applications including factory automation systems, precision machinery, production process control, terminal information systems, entertainment management systems, and car park automation systems. The VIPRO VP7710 is a reliable, cost-effective solution that can shorten your application development time.